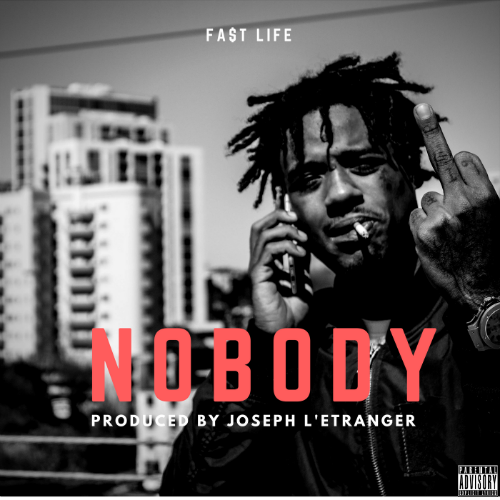 Fa$t Life returns to the scene with a new short and to the point single "Nobody" with Vancouver producer Joseph L'Etranger lacing the beat. Fa$t is currently wrapping up his 90s Babies project and will announce the release date very soon. During his 2 week break from releases Fa$t Life got the opportunity to be a guest speaker at UCLA about being a young artist in the music industry and speak on his upcoming single "Kings" that has gotten the eyes and ears of many industry connections. Among other things such as label meetings and working on a distribution deal with Empire. Fa$t Life has returned to Atlanta to release "Nobody" and hit his home studio to put the nail in 90's Babies before returning back to Los Angeles.